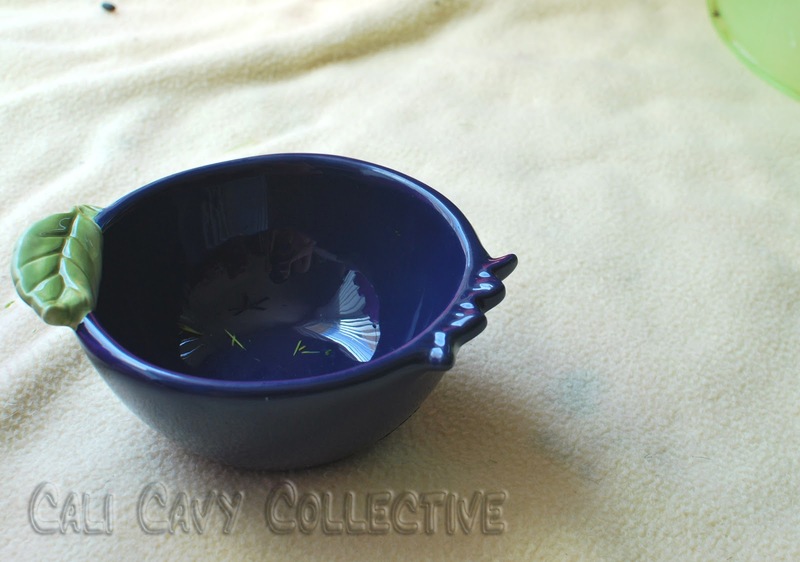 Our humans stopped by Sur La Table this past weekend and stumbled across this blueberry bowl marked down to $7. 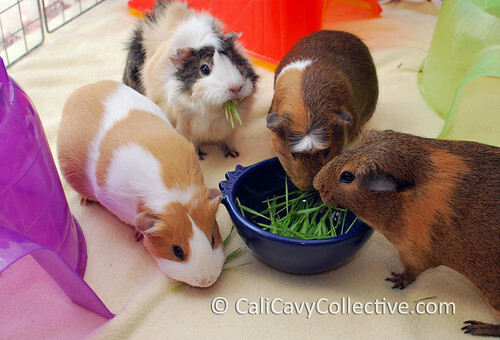 Being the good piggy slaves that they are, they thought it would make a cute food bowl for us. After testing it out with wheatgrass and lettuce we must say that we concur. Not to mention it goes along quite well with our carrot and lettuce shaped food bowls. Gemma, I doubt Mima cares what his bowl looks like either WOL ..as long as the bowl comes filled with veggies! Empty is another story.